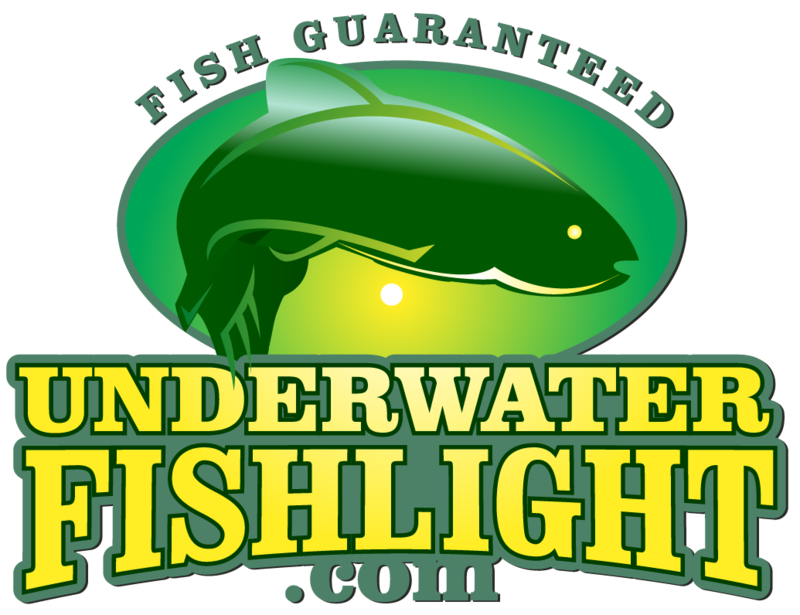 How Do Underwater Fishing Lights Work to Attract Fish? 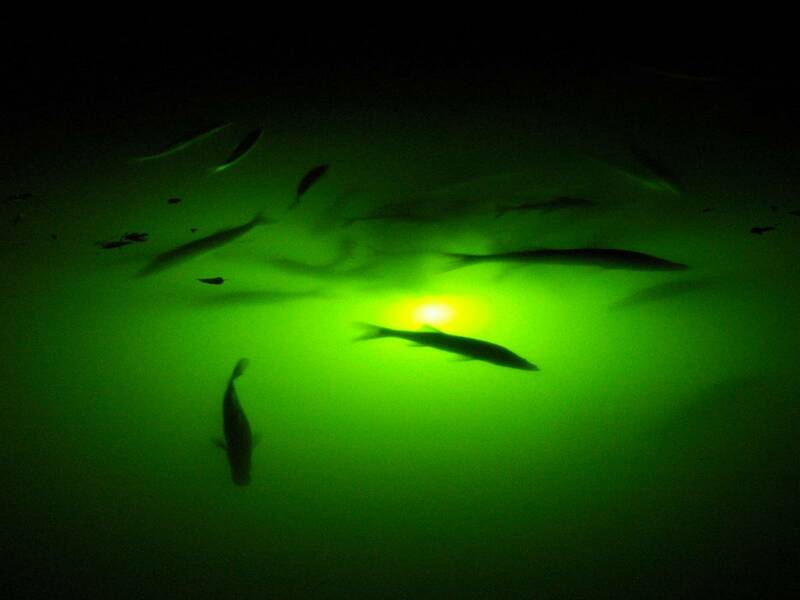 Our bulbs reflect off particles and microorganisms in the water to attract baitfish. In return, the baitfish attract larger predator fish. 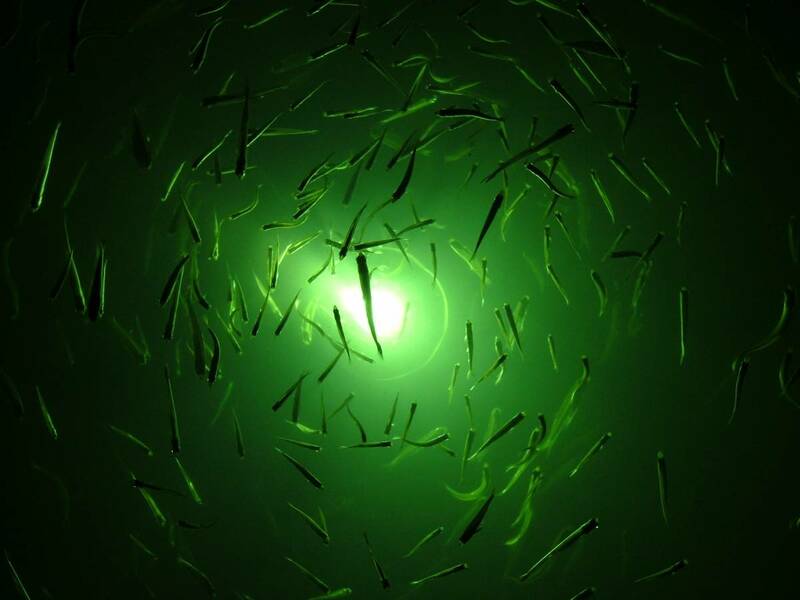 No matter the color, our lights are guaranteed to attract many different types of marine life! 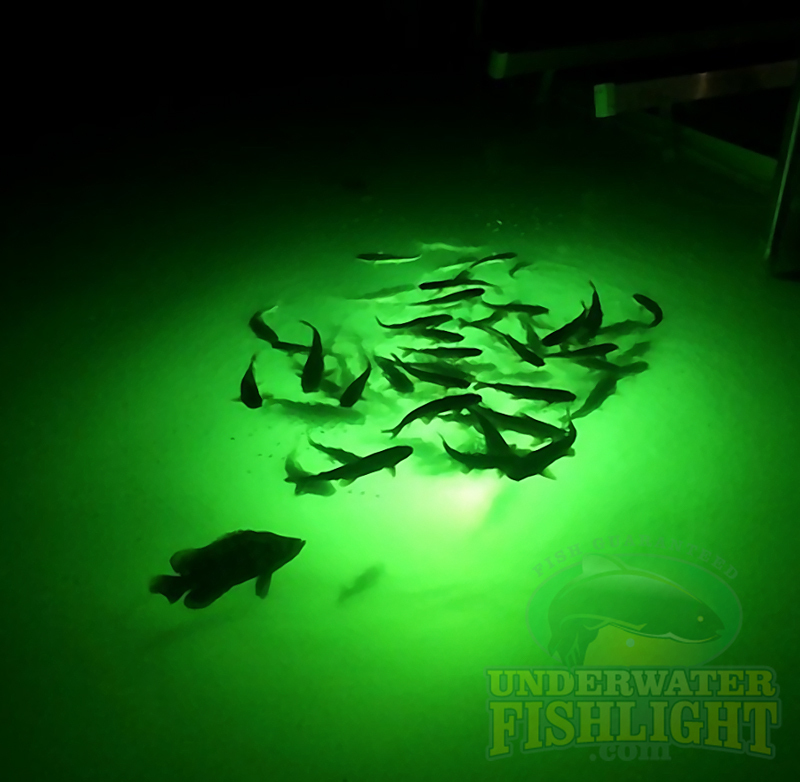 Our Underwater Fish Lights create what we like to call a “Backyard Aquarium”. Our systems simply enhance the natural food source in the waterway, we can guarantee you’ll see fish! All of our dock light systems have photocells that automatically turn the system on every night at dusk and off every morning at dawn. 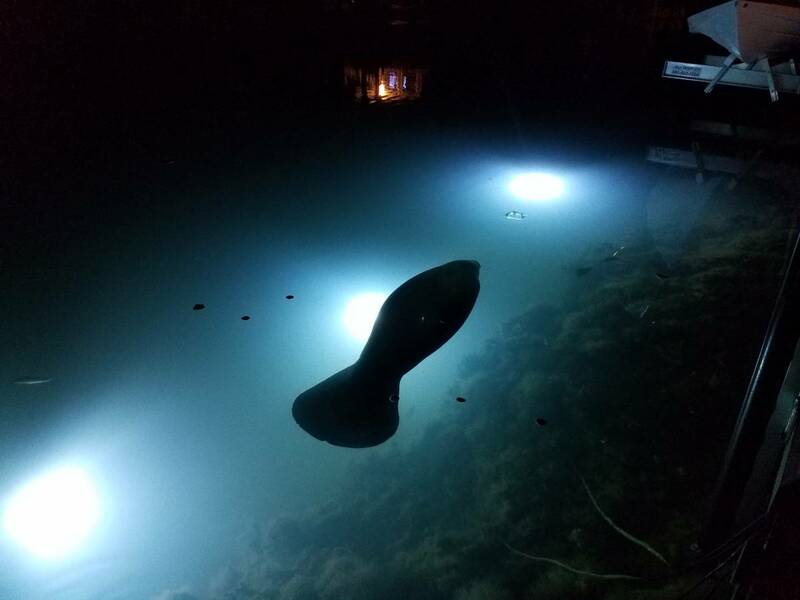 The continued nightly use will create a feeding cycle for the fish, to keep the fish coming back every night!